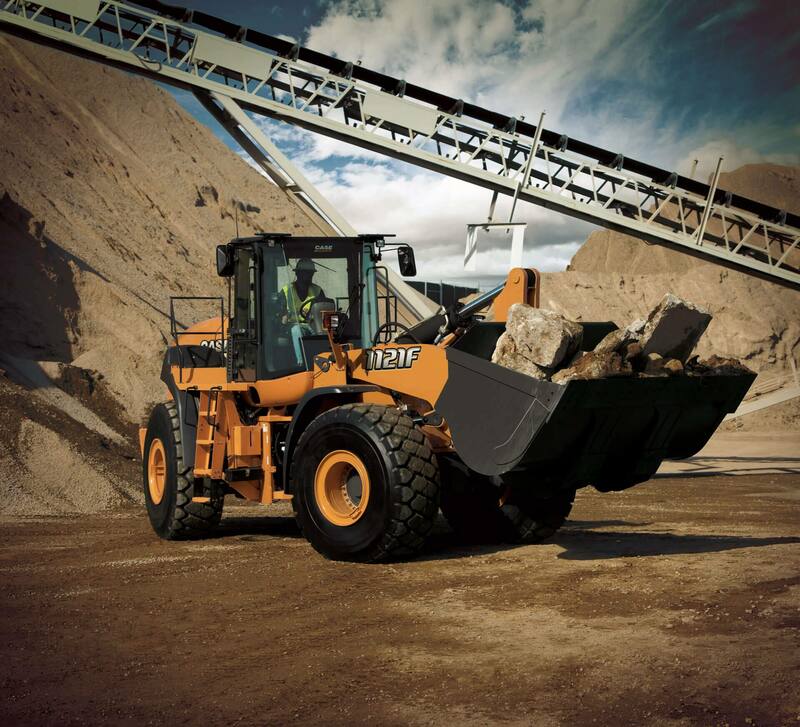 High horsepower and torque rise along with 4 power modes makes the CASE 1121F wheel loader not only powerful and productive, but also extremely fast and efficient. 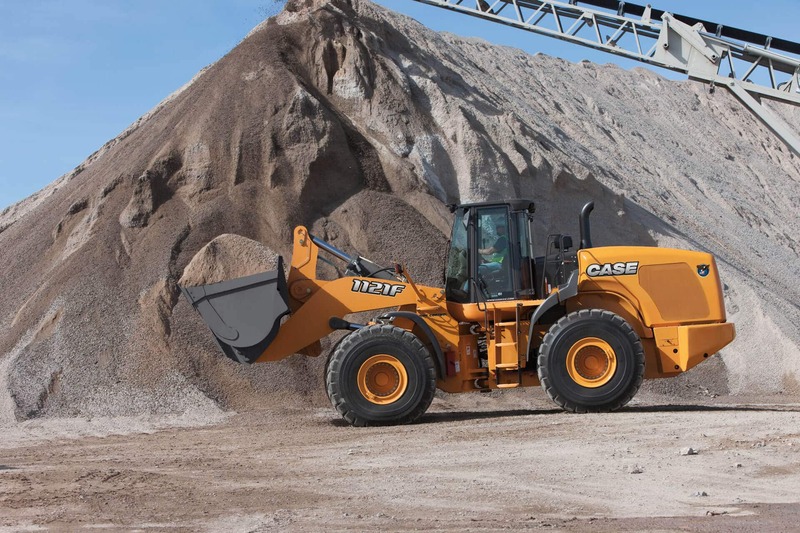 Exceptional comfort and visibility features in the 1121F include an unobstructed view to the edges of the bucket or attachment, a new, wide –angle rear view camera, and the lowest and narrowest rear hood in the industry. The use of SCR technology delivers up to a 15% increase in fuel economy while also increasing power, maintenance and ease of operation. 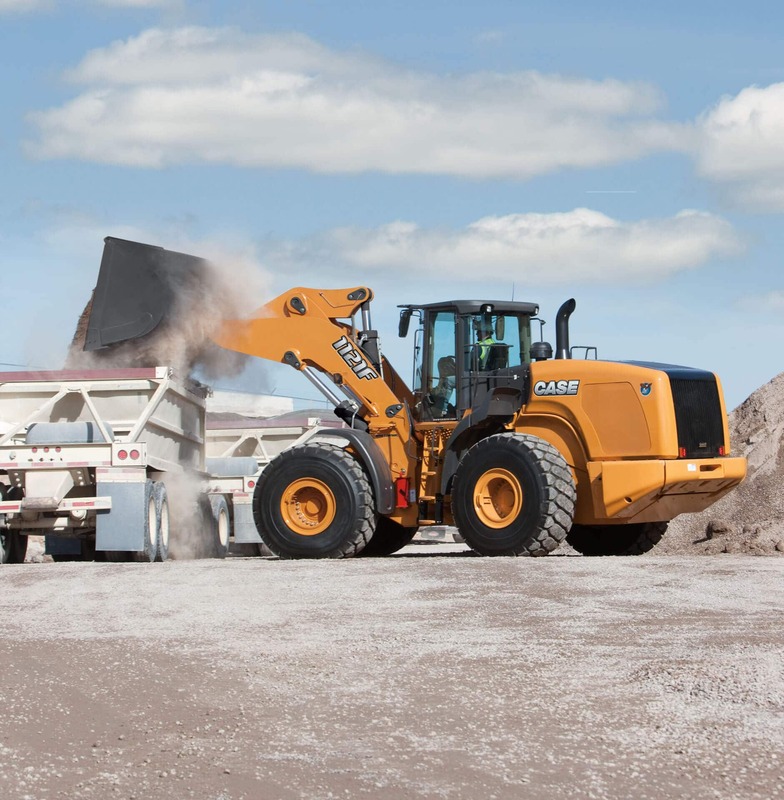 Optimum stability is provide by a longer wheelbase and lower center of gravity, while the extra-large 6.25 yd bucket helps with efficient loading on truckloading and aggregate operations. Efficiency if further enhanced by the four power modes, giving operators the ability to match engine power to the job at hand. This model is also available in XR (extended reach) configuration for enhanced versatility. Get up to a 10% increase in fuel economy with the engine’s Selective Catalytic Reduction (SCR) technology. Fuel savings can be furthered up to 30% with the standard engine shutdown feature — allowing the owner to limit engine idle time. Safety on the jobsite is maximized with this model’s rear-view, wide-angle camera that sends live, full-color video directly to the cab. Maintenance is made easy with a full raise-up hood, environmentally safe fluid drains, sight gauges and grouped, ground-level checkpoints. NOTE: *If equipped w/ option.